Watching my 16 month old’s oral and listening vocabulary develop over the last few months has been absolutely amazing. I know that developing a strong oral and listening vocabulary leads to an even stronger reader. Vocabulary knowledge is strongly related to reading proficiency and ultimately school achievement (Beck, I.L., McKeown, M.G., & Kucan, L., 2002). Repeated encounters with a word over time help to build understanding of the word. So, I take as many opportunities as I can to read, talk and play with my son. There are an abundance of ideas for vocabulary development for every age. Today we are going to look at some of the best vocabulary development ideas. Out of the Box graciously sent me a requested copy of Word on the Street Junior to review. I was immediately impressed with the game after playing it one time. Players are divided into teams which helps to promote cooperation, negotiating, and group decision-making. Each team takes turns selecting a category card (examples: another word for big or, something that is folded ). The team brainstorms words that would fit into the category and then decides on a word to play. They then spell out the word pulling each letter a lane closer to the edge of the game board. The first team to pull eight letters off the board wins. 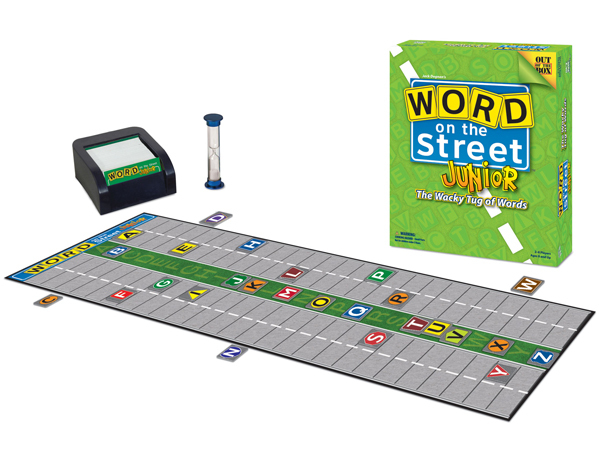 The game promotes vocabulary development, spelling practice, strategizing, and working together. On top of that, it’s great fun! The game is recommended for ages 8 to adult and retails for $22.99. Talking with children is probably the cheapest and one of the most effective ways to develop a child’s incidental vocabulary. So, how can you generate some great discussions? Let’s take a look at a few scenarios. We’re on our way to grandma’s house. Can you tell me the directions to get there? What landmarks will we pass along the way? We’re entering a construction zone. What construction vehicles and equipment do you see? How are these items utilized? Why do we have to slow down while driving through a construction zone? What might happen if we didn’t slow down? Can you think of other times when we need to be cautious? Tonight we are going to have a fruit salad with our dinner. What ingredients should we add to our salad? How can you tell if a fruit is ripe? Can you think of a fruit to buy that we would need to peel? Is there a fruit with a skin that we could eat? This sign says that the produce is organic. What is a benefit to buying organic foods? What was something that happened today that made you feel giddy, grumpy, proud or curious? Tell about a new discovery you made today or a new word you learned. Let’s make up a story. I’ll start. Once upon a time… Now, you add the next part. Continue going around the table having each person add to the story. Reading with your child is also another inexpensive activity to promote vocabulary development. 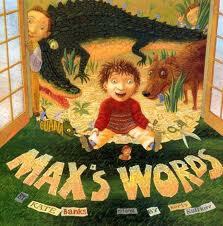 Here are two books that focus on the magic of words. Unfortunately, many schools still have students look up vocabulary words in the dictionary and write the definitions down on paper. This is such an ineffective exercise! Dictionaries are written to use the least number of words possible to define a word. Not very helpful for a child trying to learn the meaning of a new word. There is one dictionary that I feel does a better job of giving a more extensive description of each word. It’s the Collins COBUILD Student’s Dictionary. There are things you can do to help a child with a school issued list of words that are much more helpful for learning new words. Make meanings visual. Create webs, concept maps or pictures. Make it personal. Connect words to prior experiences or act them out. Try them out. Use the words in conversation and writing as much as possible. Define the words in kid-friendly language. One activity that fits this bill is called four corners. Take a piece of paper and fold it in half and then in half again. Open the sheet back up. 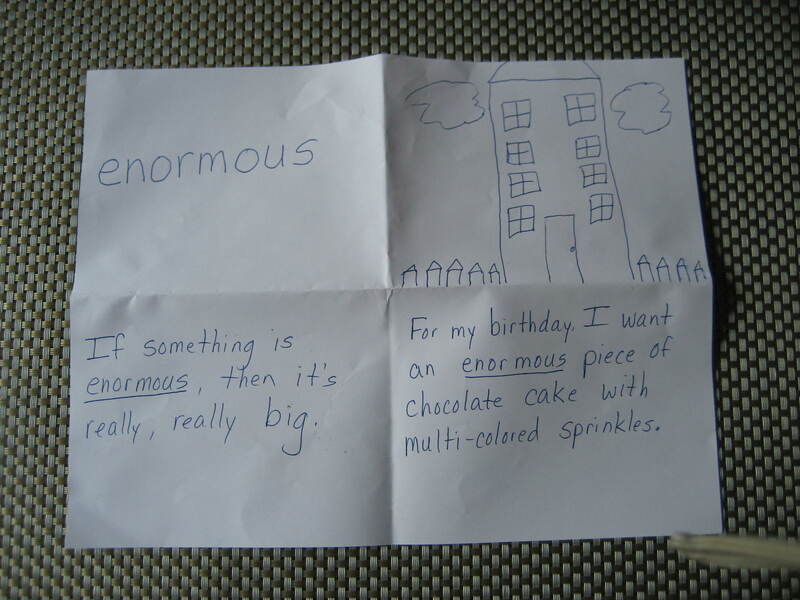 In the top left corner, the child writes the vocabulary word. In the top right corner, the child creates a visual depiction of the word. The bottom left corner is used for a kid-friendly definition of the word. In the bottom right corner, the child uses the word in a sentence. 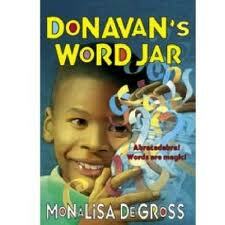 Do you have vocabulary development activities that you have found to be helpful when working with students? Please share your ideas. Check out my linky party page to see where I’ve linked up to this week. My children are grown, so I learn a lot from your posts. Wish I knew now when I was raising my children! You are just so creative. My daughter could have used help with vocabulary lists. Enjoyed the books you shared. Nice post.